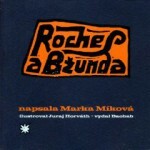 Marka Míková, née Marie Horáková, a versatile artist, musician, actor, puppeteer, director and writer of books for children. She was born on 28 December 1959 in České Budějovice. Like the previous publications, the novella JO537 is based on a rich stream of fantasy, in which the real and possible mingles with the unreal, a dream changes into a reality which resembles a dream, a game permeates life and life unfolds according to its rules. She attended the People’s Conservatory – creative writing with Ivan Vyskočil in Prague, and continued her studies in directing and dramaturgy at the puppetry department of the Theatre Academy of Performing Arts, where she graduated with her production, Matka (Mother). She played in the band Dybbuk and later in Zuby nehty, for whom she also writes lyrics. From 1987 to 1996 she worked as a director at the Minor puppet theatre in Prague, where she contributed to productions including Karkulín ze střechy, Paví král, Létající ryba, Bajaja či Dlouhý, Široký and Bystrozraký (Karkulín from the Roof, The Flying Fish, The Peacock King, Bajaja or the Long, Broad and Sharp-sighted), her production Podzemí (Underground) was produced by the Braník Theatre and the Rubín Theatre staged Bunyan’s Pilgrimage. She made her literary debut with a musical narration of Roches and Bžunda, the story of two creatures who to a punk rhythm come alive in pictures by Juraj Horváth. The book was published by Baobab in 2001. In 2007 Knihafoss (Bookfoss) was nominated for the Magnesia Litera in the category books for children and youth, and in 2009 was included in the prestigious White Raven list of books for children and youth, which is published every year by the Internationalen Jugendbibliothek in Munich. It tells the story of a young girl – Radish, who after learning how to skateboard finds herself in a parallel world – the magical land of Bookfoss. There she experiences unique adventures in which the child reader can also participate and intervene. Part of the book also contains a special CD with songs by the band Zuby nehty. 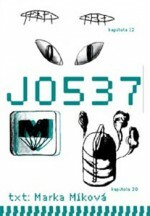 Míková’s book JO537 was published in 2009 and whose striking title hides the boy’s name Josef. The critics called it a breakthrough book for older children, which, beneath a seemingly ordinary story, offers an adventurous and colourful mosaic of the almost fantastical tales which happen to an ordinary boy, Josef, on his way between home – the underground – school. Míková is a writer who is able to create a fantasy story without dragons and magicians, just beneath the surface of everyday life on a Czech housing estate. Marka Míková’s latest children’s book is Mrakodrapy (Skyscrapers), which was published by Argo after many years of working with Baobab publishers. She wrote it to capture her impressions of her stay in the USA, and the skyscrapers form the central background to the three stories. The main character of the longest story is Ema Horáková, whose surname refers to the author’s maiden name. Skyscrapers is again funny and original, full of word games and targeted at older children. The book was nominated for the Magnesia Litera in the category books for children and youth.